This testimony from a Syrian refugee stranded at Moria Camp in Lesvos was collected by a psychologist and a cultural mediator in the frame of the outreach activities inside the Moria camp. After being treated in a clinic from razor cuts he did to himself, the patient asked Médecins Sans Frontières staff to share his message, his story and despair. 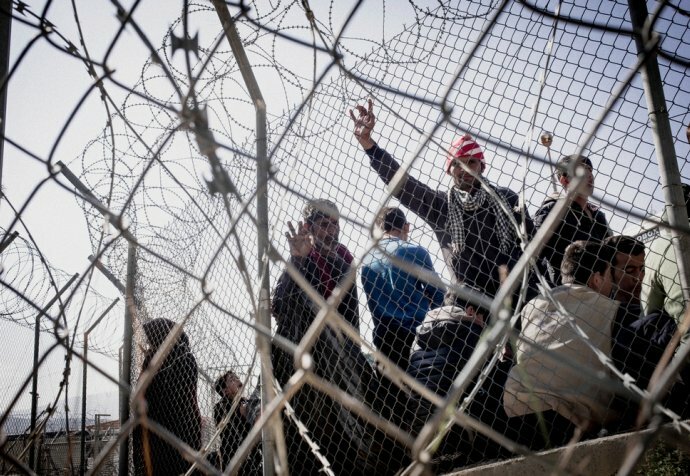 Since the signing of the EU-Turkey agreement Médecins Sans Frontières suspended its activities inside the hotspot of Moria, in protest of an inhumane agreement that has real human consequences. Médecins Sans Frontières provides mobile health promotion and outreach at the camp, referring patients to our clinic in Mytilene. In October, Médecins Sans Frontières opened a clinic providing secondary medical care services for all refugees and migrants residing in any location on the island of Lesvos. The clinic is situated in the town of Mytilene and is open Mondays to Fridays, 09:00 to 17:00 by appointment. It provides mental health care, sexual and reproductive health care as well as care to people suffering from chronic diseases.